DALLAS, Nov. 2, 2015 /3BL Media/ – Americans still have more to learn about domestic abuse. 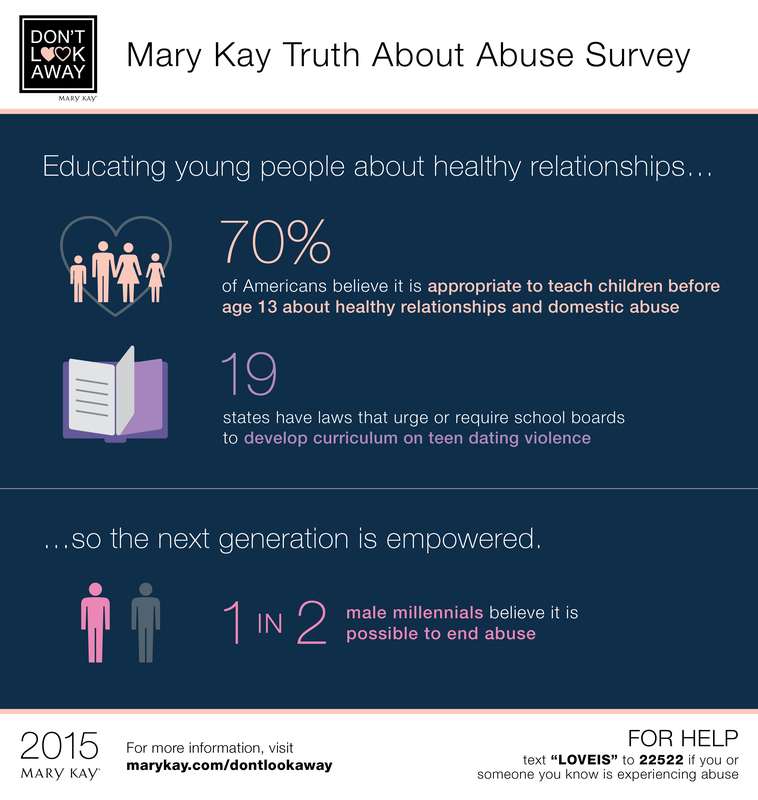 Today, Mary Kay released new data from its sixth annual Truth About Abuse survey, which reveals that despite increased awareness of domestic violence, many Americans still do not recognize signs of abuse. The survey also reveals that Americans support increased education and believe that teaching kids about healthy relationships is critical to ending domestic violence and abuse.